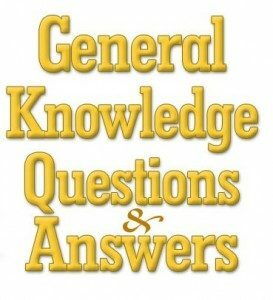 General Knowledge questions on Indian GK for Bank PO, IBPS, Bank Clerical And Indian GK For Railway GroupD,RPF,Rajasthan Police SI 10-09-2018 questions for bank exams, very important computer-related questions for Bank PO, SBI PO, IBPS,RAS, IAS, UPSC, RPSC, 1st, 2nd, 3rd Grade Teacher, REET CTET, LDC, SSC CGL, IBPS, MBA, CAT, MAT, SBI-PO, RBI And Railway, Indian Army And all competitive Exams, and Most expected Computer Question Papers with answers. These Questions are most commonly asked in Other Banking Exam And All subject Wise Notes and Math, Hindi, English, History, Political Science, Psychology, Sanskrit Related Study material. Question(1) Kuru city is famous for whom? कोरू शहर किसके लिए प्रसिद्ध है? Question(2) Who should maintain the work of sodium and potassium in the body? शरीर में सोडियम और पोटेशियम का कार्य किस को बनाए रखना चाहिए ? Question(3) Who is sitting on the throne after Aurangzeb’s death? औरंगजेब की मृत्यु के बाद कौन राज गद्दी पर बैठा? Question(4) What is the reason for top dominance in higher plants? ऊंचे पादपों मैं शीर्ष प्रभुत्व का कारण कौन सा है? Question(5) Kaushambi was its capital? Question(6) What were the farmers under the Mughals who had their own health bulls? मुगलों के अंतर्गत जिन किसानों के पास अपनी हेल्थ था बैल होते थे उन्हें क्या कहा जाता था? Question(7) Which comet is generally born to? किसी धूमकेतु की उत्पत्ति सामान्यत किससे होती है? Question(8) Which congressional session was the slogan of the boycott of the Simon Commission? कांग्रेस के किस अधिवेशन में साइमन कमीशन के बहिष्कार का नारा दिया गया था? Question(9) The computer, the I.C. chip. Who is to be made? कंप्यूटर में आई. सी. चिप. किसकी बनी होती है? Question(10) To prevent corrosion, what is the process of rolling zinc in iron pipes? संक्षारण को रोकने के लिए लोहे के पाइप पर जस्ते की परत चढ़ाने की प्रक्रिया को क्या कहते हैं?